Feeling like you need a new place to trail ride? 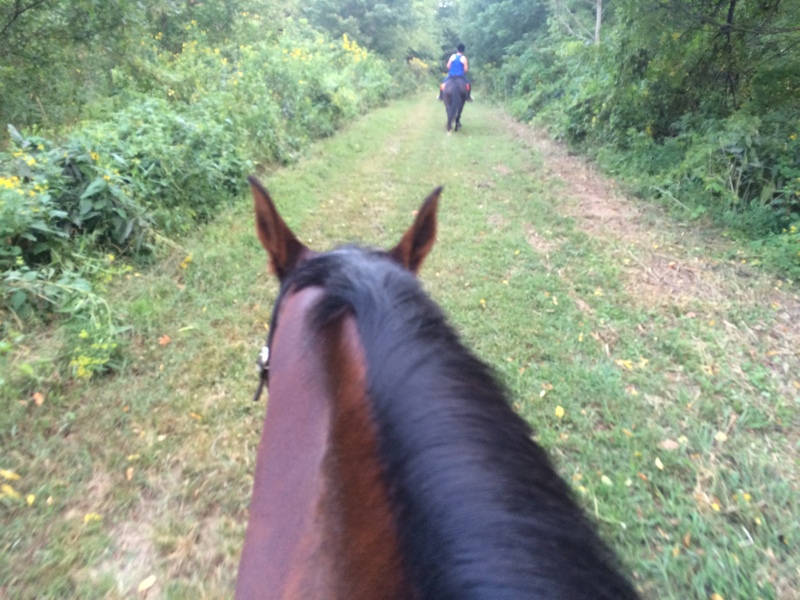 Several of Virginia’s state parks offer horseback riding trails. And one of the nicest is James River State Park in Gladstone, Virginia. 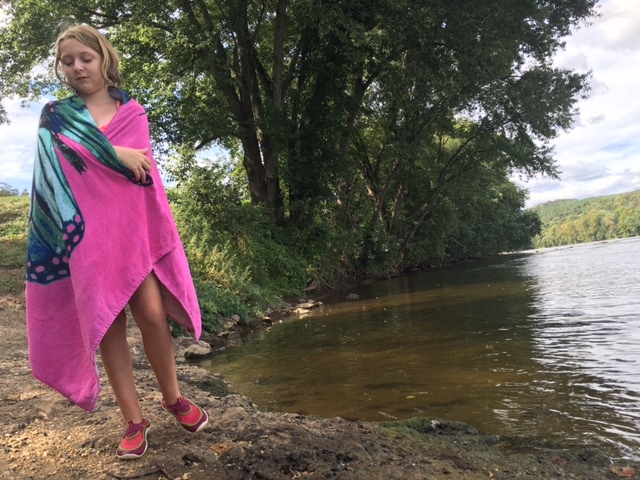 James River State Park is a little bit of a drive, about 2 hours from Roanoke. But the roads are all good and it’s an easy haul. The park has a campground dedicated to equestrians. Laid out in a circle, campers/trailers are parked in reserved spaces up through the center of the loop and the stalls are all at one end. Large box stalls include a hay rack and bucket holder already installed. (Personally, I’d rather the hay racks didn’t have a little tray at the bottom where your horse’s nose can mingle where a strange horse’s once was. Sanitation spray would not be a bad idea for a quick wipe.) Most had a good amount of wood chip bedding at the bottom and required nothing to be added. There are muck rakes and wheelbarrows provided for cleaning stalls. If you go during the summer, watch which stall you choose. The stalls on the far side of the loop (away from the park road) get more direct sunlight and are hotter then the ones along the turn and on the side closest to the entrance. Water, with hoses attached, is also available at a couple of places near the stalls. However, at least when we were there, the water pressure through the hose was very poor and spraying the horses off after a ride was difficult at the stalls. A separate, shady picnic area not connected to any of the camping spots is available near the stalls. The pull-through campsites are all spacious and allow two trailers to park side by side and share a space. There is plenty of room no matter how large your trailer, as the pull throughs are very long. The question for some of the spaces is if it makes more sense to share a driveway or share the grassy area with a picnic table and fire ring. While my riding buddy and I were parked in the same driveway, that meant our picnic tables were removed from one another. It was incredibly hot the weekend we were there, even in September, and because of that the lack of shade was very noticeable. 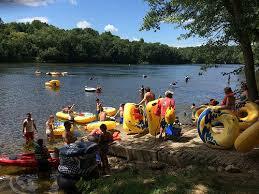 During the afternoon, most people were driven into air-conditioned trailers or into the river. This is not a campground you go to because you want to feel like you are sitting in the woods. But as the campground matures, this will improve as there are young trees planted. Some of the campsites are more level than others. Our trailer unfortunately sat at an angle no matter where it was in the site. Each campsite has a fire ring and picnic table as well as electrical hookups. Campground as we go out on an evening ride. The bathhouse is toward the center of the campground. It is more modern than many of the bathhouses I have seen at campgrounds and very clean. Showers are private and spacious. The bathrooms are in a separate room. Advance reservations are a very good idea for this park as the HorseShoe Campground is very popular. But while our weekend was considered full a few weeks out, it certainly was not full during our stay. Most of the stalls were empty and several of the camping spots were too. None of the tent pads were taken. So it may be worth calling each day as the weekend approaches for cancellations. Horseshoe Campground, open from the first Friday in March to first Monday in December annually, has full electric hook-ups, there is also a primitive horse campground, open year-round, near the river where you can picket your horse. No generators are allowed in that campground. Riding trails leave right from the campground and you can easily ride for several hours before looping back. I would recommend shoes or boots for the horses. 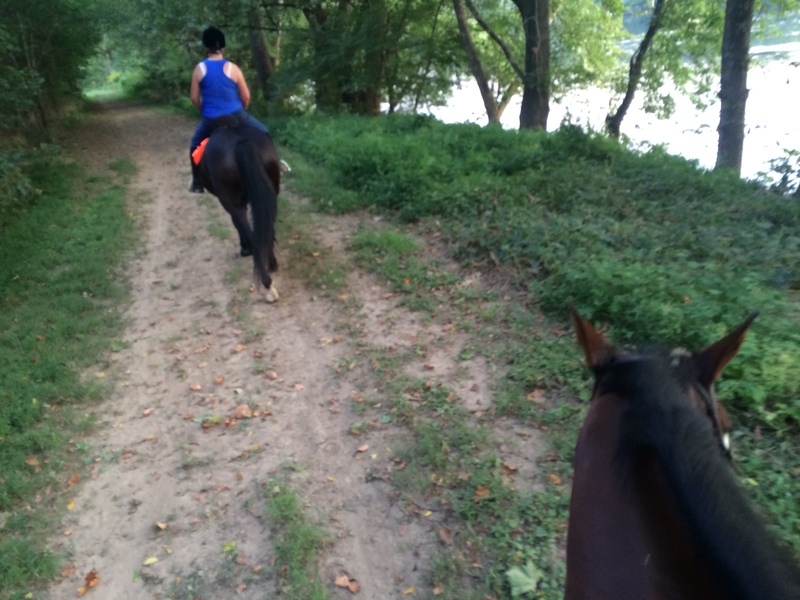 While the trails next to the river (the park has 3 miles of river frontage) are lovely and soft for a canter, the trails going down of the mountain were rocky and my mare with just front shoes did struggle on the difficult terrain. Horses should be prepared to cross wooden bridges and a little water, but the trails are good for any level of rider and horse. The views riding along the James River can’t be beat. 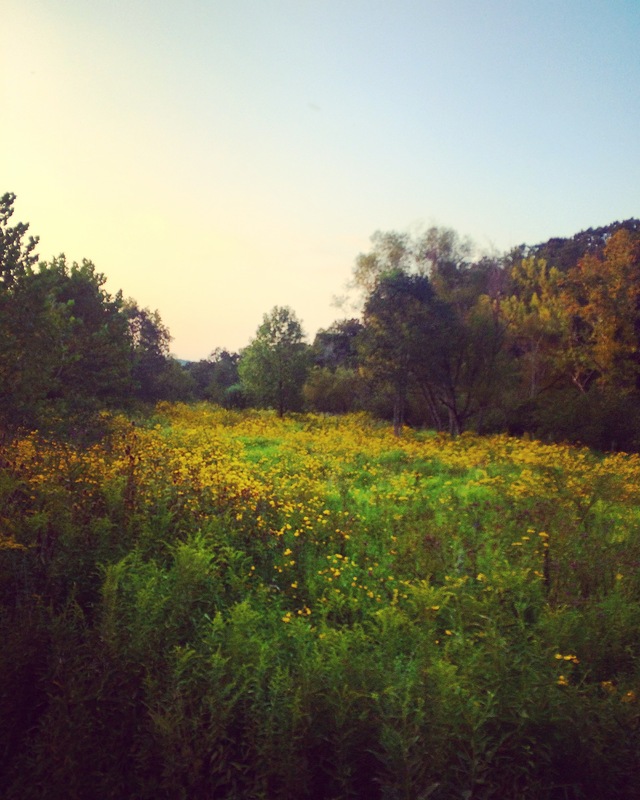 Lovely wildflowers accompany riders through woodlands and fields. Riders are not allowed to take the horses in the James River at any point and all access points are blocked. This was a particular shame on our hot weekend. And riding isn’t the only activity at the state park worth checking out. Fill your afternoons with kayaking, tubing or fishing. There’s an outfitter where you can rent a tube or boat right at the boat launch. The park also has a gorgeous picnic spot right along the river. Not really into camping? The park also has several beautiful cottages for rent. However, a spot must also be reserved next to the horses and someone must stay with the horses. Day riding is also available with separate parking. 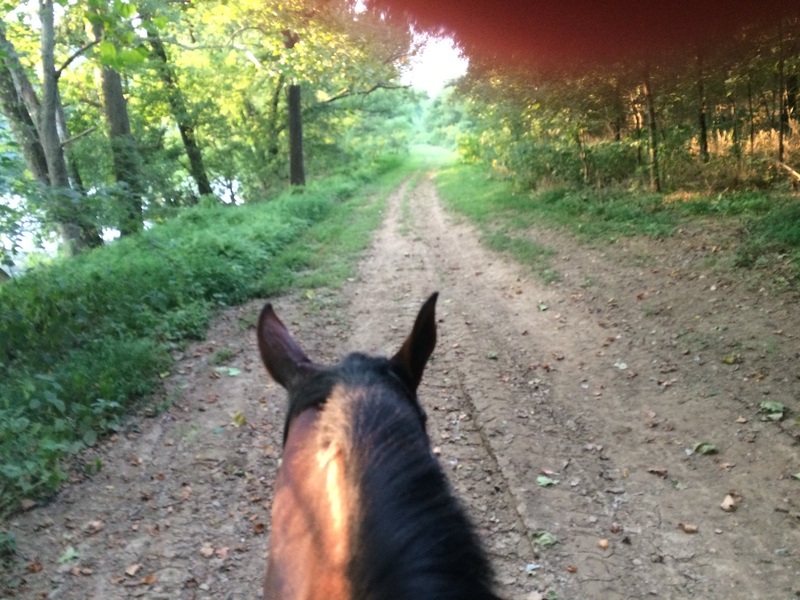 Posted on October 2, 2016 October 11, 2016 by RoanokeEquestrianPosted in Trail Riding, UncategorizedTagged James River State Park, trail riding, Virginia State Parks.